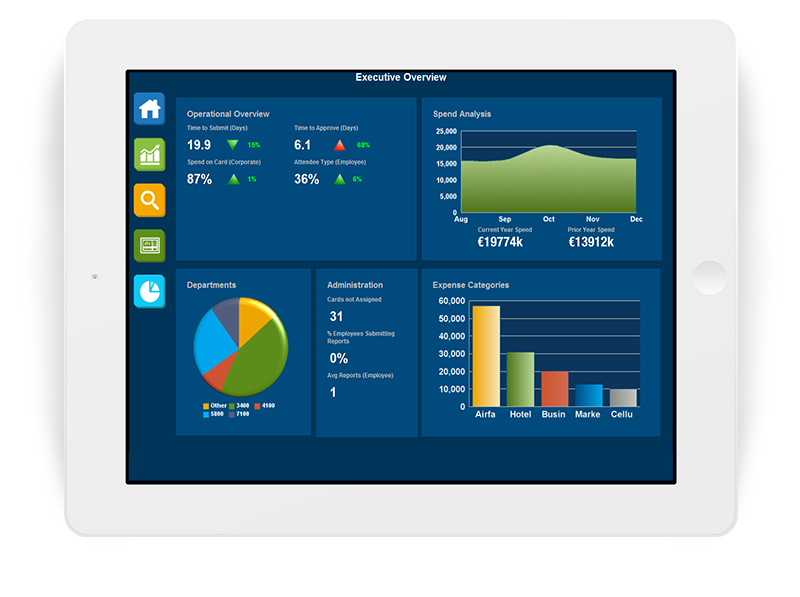 Give your organization unprecedented visibility into T&E spending for improved convenience, control, planning and compliance. SAP Concur makes it simple to automatically connect spend data from almost any source - from corporate credit card accounts to online travel sites and service providers - back to your core SAP Concur solution. Concur offers additional cloud-based services that integrate seamlessly with our core solutions and with each other – without adding unwanted cost and complexity. Gain a single, clear view of all spending including travel, ERP, invoice and corporate card data using Concur Intelligence. Enjoy proactive insight to control spending and drive effective decision-making. Call upon Concur Request to automate spend requests and approvals for travel and everyday expenses, giving your entire team the visibility to make strategic decisions about spending before it happens. Company Bill Statements from Concur puts you in control of your P-Card program by capturing all card purchases, easily reconciling all transactions and supporting compliance with a full audit trail. Achieve a consolidated view into when and where payments are being made with Expense Pay and Invoice Pay, so you can control cash flow and no longer worry about late, missing or duplicate payments.